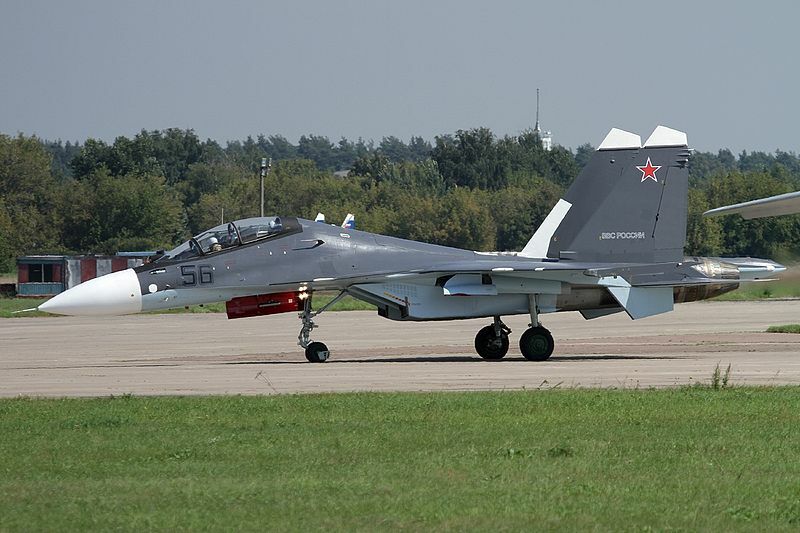 Stories and concerns are circulating about an escalated Russian military presence in Syria. 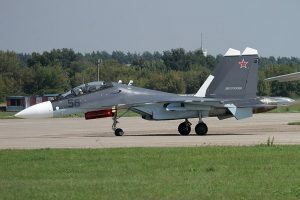 Many of the stories focus on the fact that Russia has sent four Sukhoi SU-30SM fighter jets and eight military helicopters to Syria. We know that Russia has also sent antiaircraft batteries. Less noticed, but possibly more important, is the fact that Russia has ramped up construction at an air base near Latakia, Syria. The construction upsurge appears to indicate facilities for a significantly larger military presence than Russia currently has in Syria. Image by Aktug Ates, wikimedia commons. 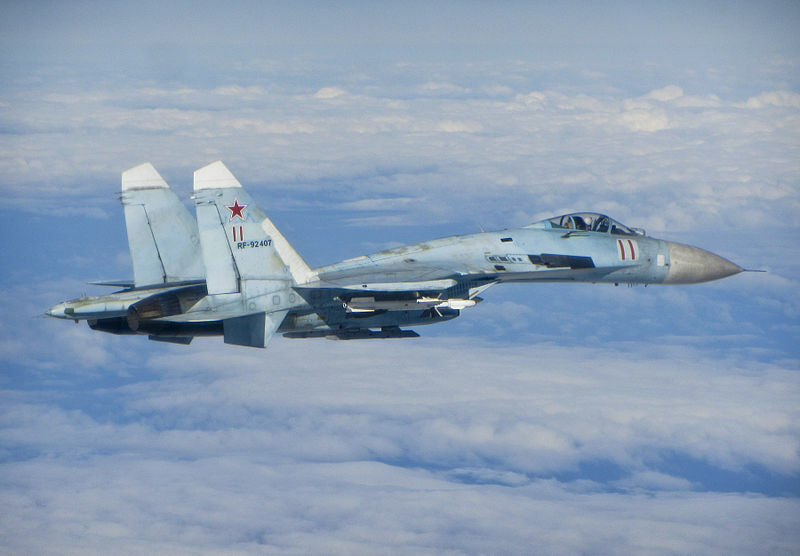 So what does this Russian buildup in Syria mean? The US just posed that same question to Russia. US Secretary of Defense Ash Carter spoke with Russian Defense Minister Sergei Shoygu on Friday, September 18. This was the first official conversation between their two institutions since February 2014, when the US broke off military discussions with Russia due to Russia’s invasion of Ukraine. The purpose of this recent conversation was to discuss “de-escalating” any possible meetings between Russian and US forces in Syria. While Russia’s presence in Syria might seem sudden and new, Russia has, in fact, been in Syria for over half a century. Current Syrian dictator Bashar al-Assad’s dictator father, Hafez al-Assad, became president of Syria in 1971. 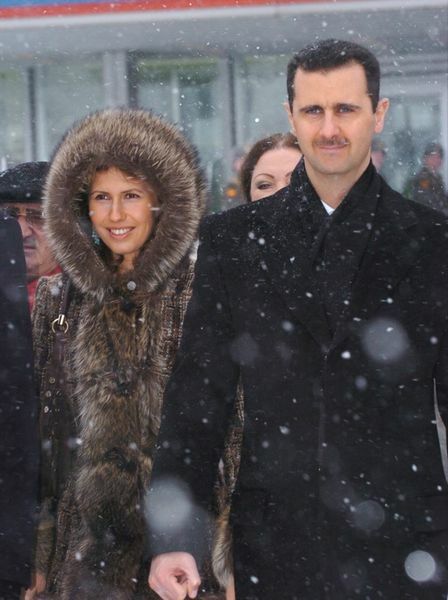 The Soviets trained Hafez al-Assad both as a pilot and as a president. The Assad One-Party-Many-Secret-Police style of government is a copy of the Soviet model. It is the same model that Putin is doing his best to reinstate in Russia today. in Moscow, March 26, 2008. Image by Ammar Abd Rabbo, wikimedia commons. The US and Europe are backing Assad’s enemies in Syria while they struggle to oust the Assad regime. Russia does not want Assad ousted. The real impacts of Russia’s buildup in Syria will depend on how far Putin is willing to go in backing Assad. However, the recent Russian upgrade still leaves Assad and Russia at a tremendous tactical disadvantage against US and European forces in the area. Because of this disadvantage, it is unlikely that the Russians will attempt to directly engage with any US or European aircraft that are flying missions in Syria. The Russians are explaining their buildup in Syria as their attempt to help their ally Assad fight off ISIS. Since ISIS is also the enemy of the West, then in theory, the West has nothing to worry about from Russian forces in Syria. The equation becomes much more complicated if and when Russian forces engage with Western-backed rebels, which are rebels who oppose both Assad and ISIS. Russia has offered no explanation as to how their forces will differentiate between Syrian rebels and ISIS fighters. They obviously won’t. From my perspective, the only surprise about the Russian buildup in Syria is that Russia waited so long to go this far. Russia has a lot to lose in Syria, and it needs Assad or an Assad-clone to remain in power for two major reasons. The first and most obvious reason is for Russia to keep its one Mediterranean naval base. The second and more subtle reason is that a critical part of Putin’s empire rebuilding strategy revolves around maintaining and creating allies. The ally-creation part of Putin’s grand strategy has failed miserably. Most of Russia’s old Cold War European allies have either joined NATO or are trying to. Even the stubbornly neutral Swedes are considering joining NATO. Beyond Europe, most of Russia’s old allies have come to expect less aid from Russia in the post-Cold War environment. Russia’s popularity has, in most cases, plummeted amongst undeveloped nations around the world. In the narrow and mostly closed mind of Vladimir Putin, keeping Assad in power has become a critical need for maintaining a facade of Russian relevancy in the 21st century. This, of course, is more bad news for both the Syrian people and the Russian people. Putin is once again missing an opportunity to move past his Cold War childhood and embrace modern opportunities. So how will the West respond to Russia in Syria? The same way we have for the last half-century. The US and Europe will continue to support enemies of the Assad regime without directly confronting Russian troops in Syria. If Russian forces “mistakenly” fire on US or Western aircraft in Syria, the West will then likely upgrade the weaponry of Syrian rebels in order to make life more miserable, and more dangerous, for the Russians in Syria. It appears that Putin is willing to invest heavily in propping up the Assad regime. As long as Czar Putin is able to maintain his stranglehold over Russia, I would not expect a Russian retreat from Syria in the near future. Thanks, Jay. I rely heavily on you to interpret international events, and you usually come through. I figured this was just Russia being Russia, and it sounds like that’s exactly what’s going on. Hi David. Thanks for visiting and thanks for the high praise.